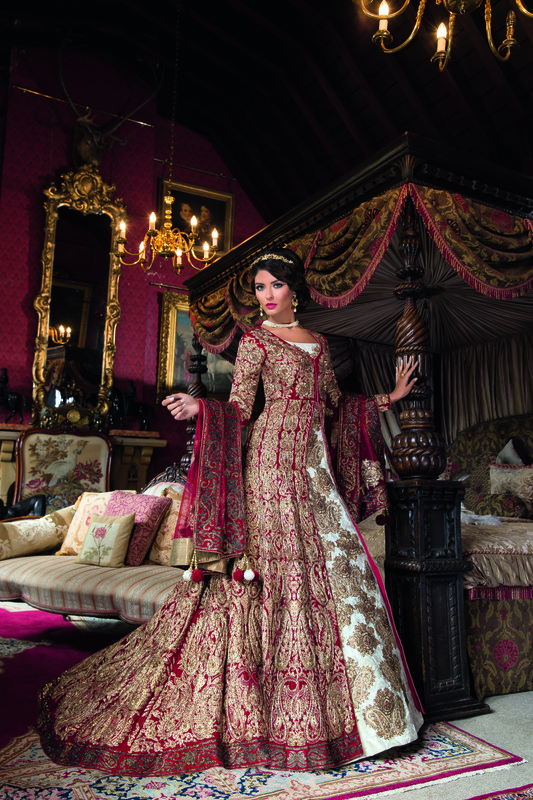 Recently, we were thrilled to have Asiana TV visit Maunsel House to hold a photo shoot for their flagship magazine, Asiana Wedding. 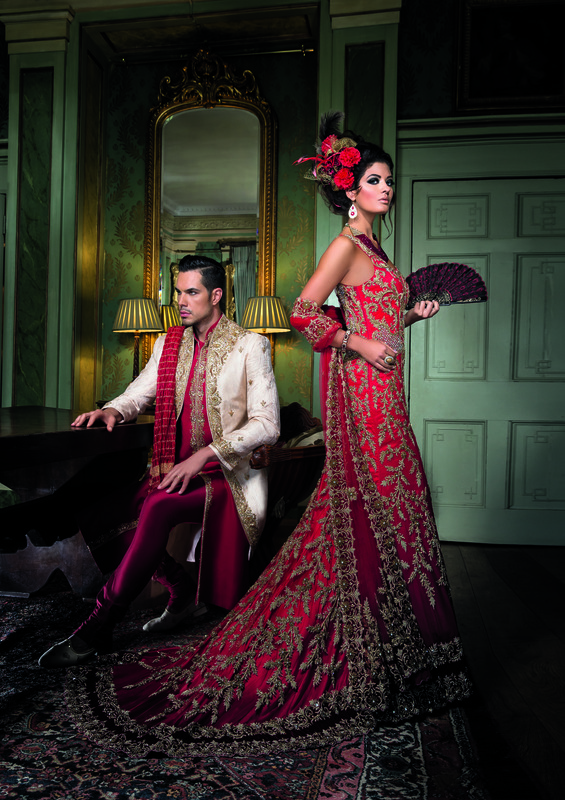 At 450 pages long, Asiana Wedding is the biggest title for Asian Weddings in the UK. It is the ultimate bridal resource, featuring pages and pages of stunning bridal fashion and beauty, wedding planning help, honeymoon and travel tips, and more. 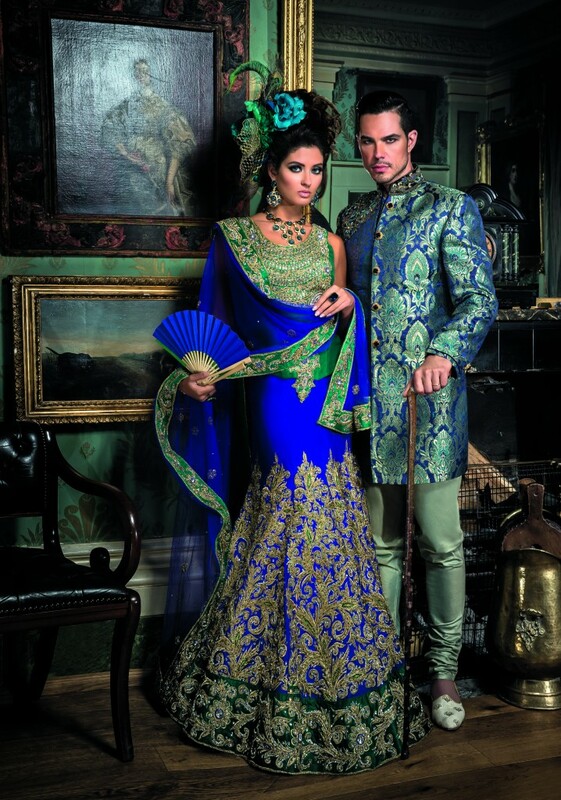 The photo shoot shows off the latest designs in traditional South Asian wedding fashion. 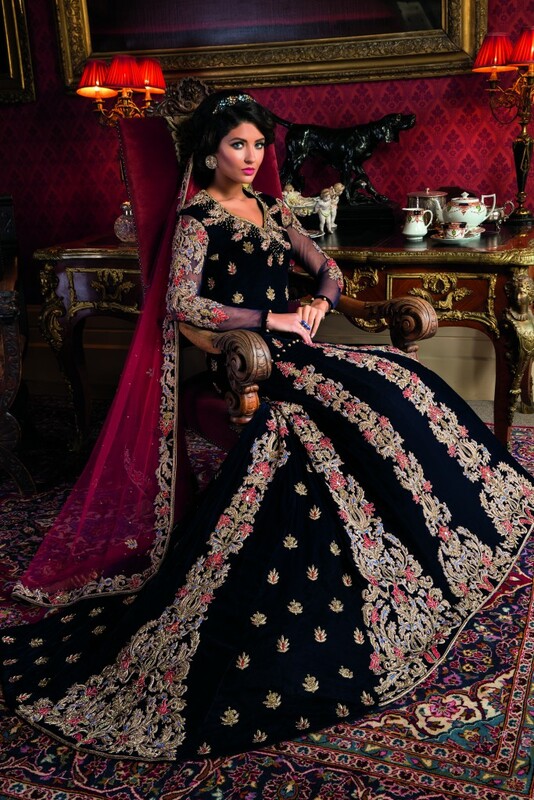 As you will see from the pictures, many of the wedding dresses are tremendously regal and ornately embellished, and the rich décor of Maunsel House truly brings out the romantic legacy of traditional South Asian event wear. 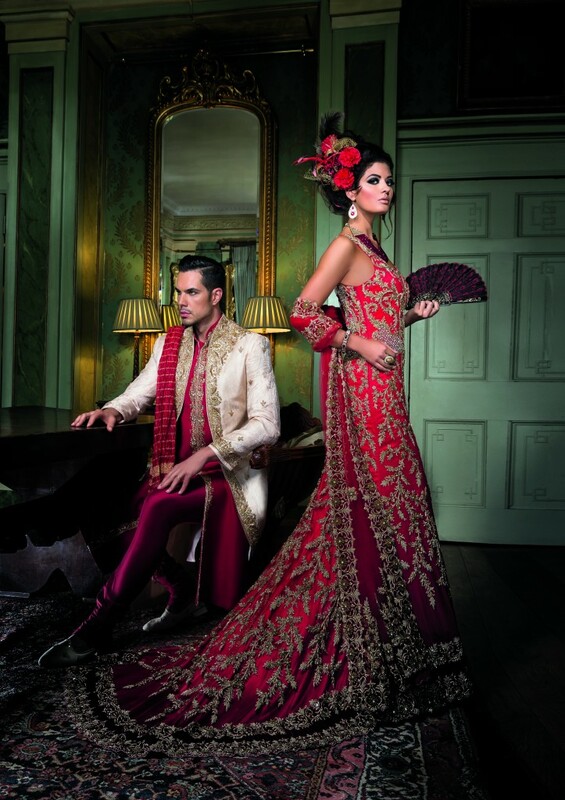 We loved how the stunning dresses and groom’s suits looked against the backdrop of Maunsel House. 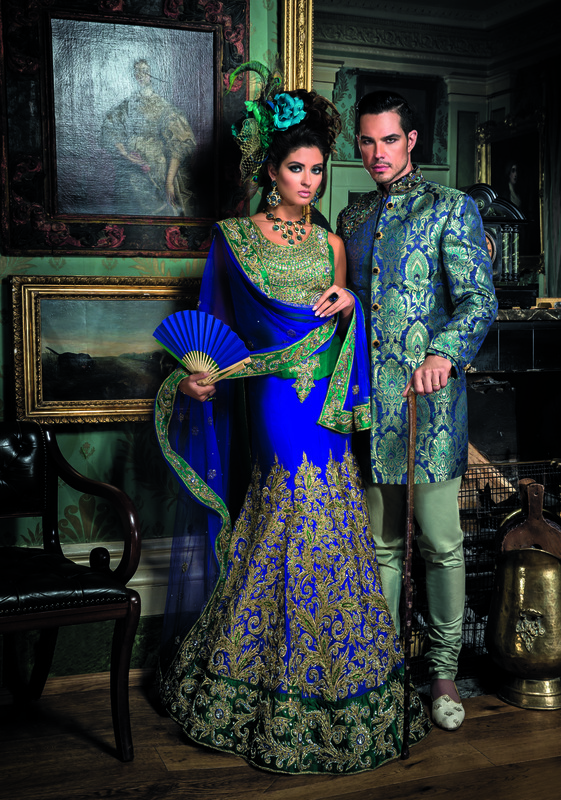 The complementary colours in the many of the details of the house created a buzzing harmony between the models and their surroundings. 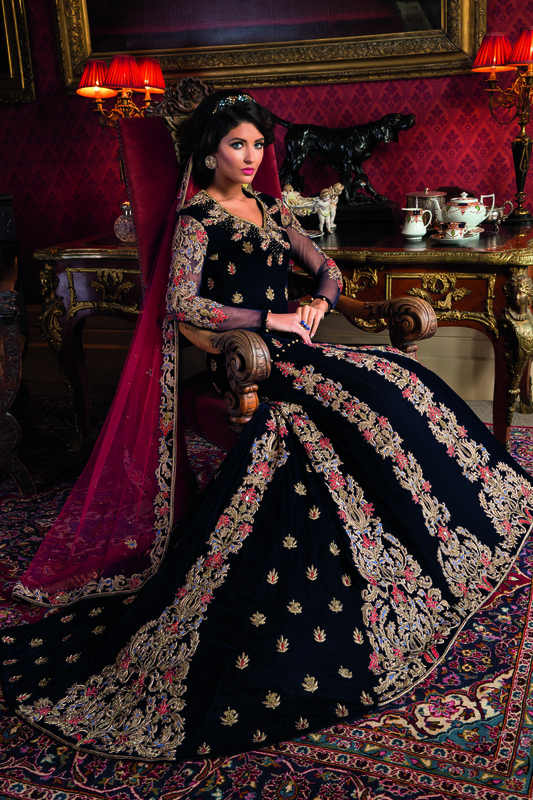 Not to mention, the jewel toned colour scheme that is trending in Asian wedding dresses perfectly matches Maunsel’s resident peacocks that wander the grounds! 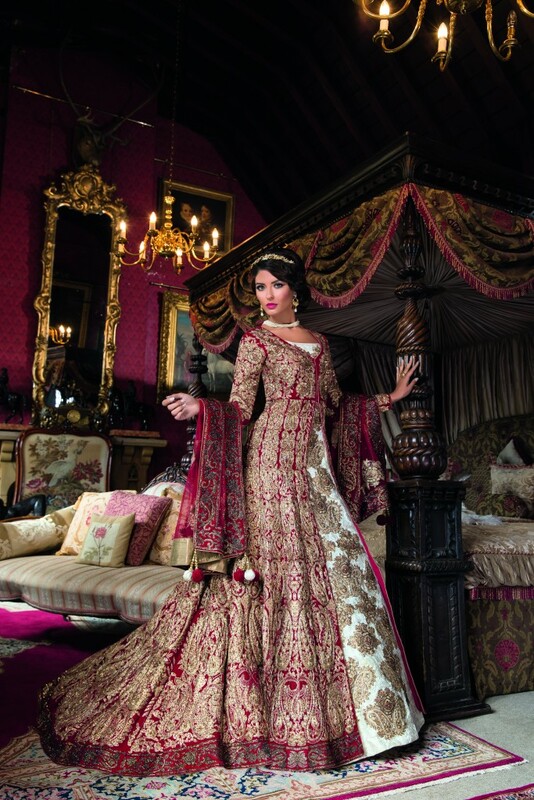 One of our favourite photos is of a stunning bride standing in our King’s room, which is often where the bride and her party choose to await the start of the wedding ceremony. 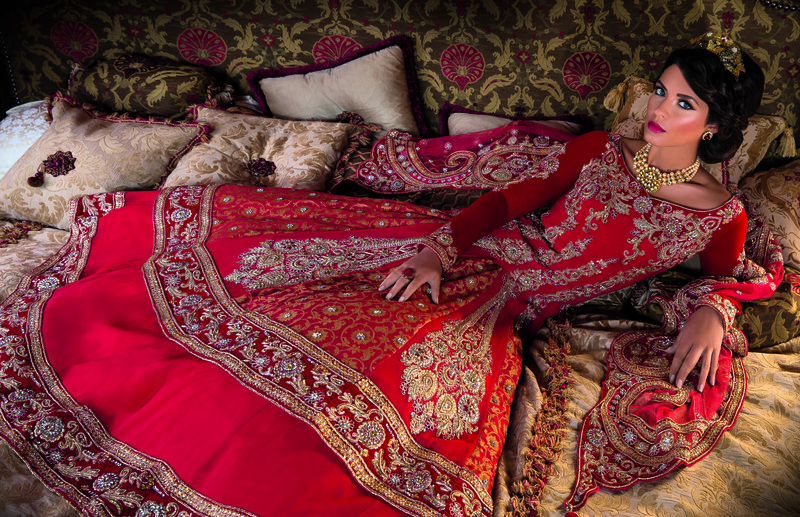 Located atop the Victorian Gothic West Wing of the Manor, this extraordinary room mimics the traditional South Asian deep red and marigold colour scheme that is present in this spectacular gown. Thank you to Asiana TV for the lovely experience! As always, be sure to check our blog for more news and events at Maunsel House!